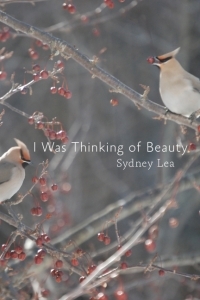 It’s been said about conservationist and Vermont Poet Laureate Sydney Lea that “this extraordinary poet finds an elegance and beauty that can be glimpsed throughout his often harsh landscape.” I Was Thinking of Beauty, his eleventh collection of poems, evidences that skill. Here the natural world coexists with the poet’s boundless intellect. 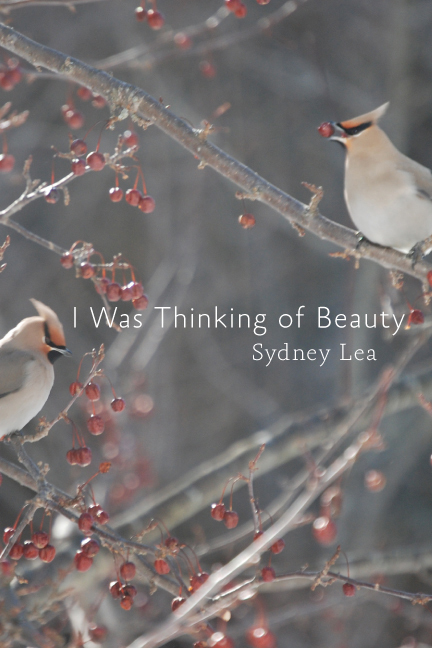 “The skins of maple florets have burst,” Lea begins, and we are immediately pulled into a lush landscape of the “cornsilk’s yellow, roof-metal bleeding orange, / red granite gate posts, glints of mica in fieldstone.” Still, Lea continues to remind us that even the “first green that Frost called gold” couldn’t stay. In this collection, we follow a speaker who no longer feels he can “distinguish regret from knowledge, / accountability from sorrow,” as he wades through the layers of memory and experience: “I was thinking of beauty then, how it’s faced grief since the day / that somebody named it.” Lea’s keen narrative eye keeps us fully in the present as he reminisces on a past—which Lea unravels, chisels away at in search of a deeper understanding—so vivid it could be our own. Doesn't everyone dream of heaven? After quarrel, he wishes his own could land at his feet. His eyes rimmed innocent white with salt.